"Live in the world as if only God and your soul were in it; then your heart will never be made captive by any earthly thing." The charism of the Carmelite Order is God’s gift given originally to those nameless hermits who gathered together on Mount Carmel, beside the well of Elijah, at the end of the 12th and beginning of the 13th centuries. The Carmelite Order has no known founder but sprang from the desire of those first hermits to follow Christ together with a pure heart and a good conscience. They asked the Patriarch of Jerusalem, St. Albert, to write for them a rule of life (c.1206-1214) which laid down certain guidelines based on the previous way of life of the hermits. This Rule of St. Albert and the experience of the Carmelites as they sought to be faithful to it in various circumstances gave definitive shape to the charism. We can say that there are several elements which make up the Carmelite charism. Firstly, and most importantly, it is a way of following Christ with total dedication. Carmelites do this by seeking to form contemplative communities at the service of God’s people in whose midst they live. Fraternity, service and contemplation are therefore essential values for all Carmelites. As we attempt to follow Christ more closely, we Carmelites find inspiration in the Old Testament Prophet, Elijah, and in the Blessed Virgin Mary. Elijah’s memory was kept alive especially on Mount Carmel where he challenged the people to stop hobbling first on one foot and then on the other but to choose who is God in Israel – Yahweh or Baal. According to the story, which can be found in the First Book of Kings, chapter 18, Elijah’s sacrifice was consumed by fire from heaven which proved to the people that Yahweh was the true God. Elijah made himself available for God’s work and was sent into various situations to proclaim God’s word. Elijah undertook a long journey through the desert where he began to despair. He sat down under a bush and wished he were dead but God would not allow him to die and prodded him to continue his journey to Mount Horeb. When he arrived there, God became present to Elijah. God came not with the signs usual in the Old Testament of fire, earthquake and mighty wind but in the sound of a gentle breeze. Elijah was sent back to his people to carry out God’s will. From Elijah, Carmelites learn to listen for the voice of God in the unexpected and in silence. We seek to allow the Word of God to shape our minds and our hearts so that the way we live and the things we do may be prophetic and therefore faithful to the memory of our father Elijah. The first hermits on Mount Carmel built a church in the middle of their cells. This was the centre of their lives where they converged each day to celebrate Mass together. This little church they named in honour of Our Lady. By this fact the first group of Carmelites took her as their patroness, promising her their faithful service and expecting her protection and favour. They were proud to bear the title of “Brothers of the Blessed Virgin Mary of Mount Carmel” and they defended this title with vigour when their right to it was challenged. 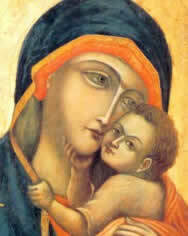 Mary consented to God’s will when she was asked to be the mother of the Saviour. She pondered on the events of her life and was able to see in them the hand of God at work. Mary did not become proud about her unique vocation but instead praised God for looking on her lowliness and doing great things in her. She was with Jesus at the beginning of his public ministry when, at the marriage feast at Cana, she made known to him the simple need, “They have no wine”. She was with him as he died and there she became the mother of all believers. At the beginning of the Acts of the Apostles we find Mary gathered in the upper room praying with the other disciples waiting for the outpouring of the Holy Spirit. For us Carmelites, Mary is a constant presence in our lives, guiding us and protecting us as we seek to follow Christ. Mary symbolises for the Carmelite everything that we hope for – to enter into an intimate relationship with Christ, being totally open to God’s will and having our lives transformed by the Word of God. Carmelites have always thought of Mary as the Patroness of the Order. 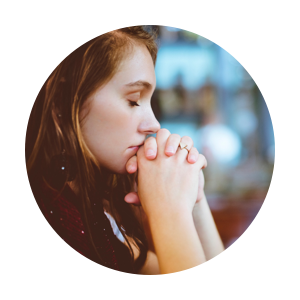 We seek to live in spiritual intimacy with her so that we can learn from her how to live as God’s children. Elijah and Mary are inspirational figures for all Carmelites. They play a very important part in the life and spirituality of the Order which sees itself as belonging to Mary and looks to Elijah as our spiritual father. "Let nothing disturb you, let nothing frighten you. Though all things pass, God does not change. Patience wins all things. But he who lacks nothing who possesses God; For God alone suffices." 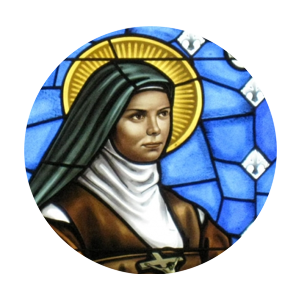 St Teresa almost single handedly reformed the Order in the 16th century and was responsible for the establishment of the Discalced Carmelites in the latter part of the century. Her life was a colourful and supernatural series of events that had amazed and awed observers and followers of the order for centuries. Read more. 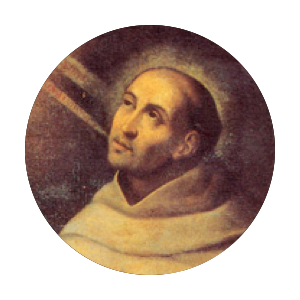 Saint John of the Cross was born at Fontiveros in Spain about 1542. He entered the Carmelites and with the permission of his superiors began to live a stricter life. 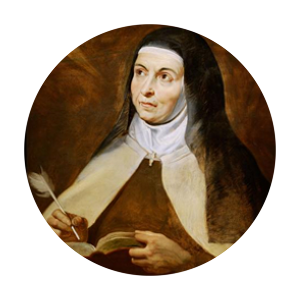 Later he was persuaded by Saint Teresa to begin, together with some others, the Discalced reform within the Carmelite friars; this cost him much hard work and many trials. Read more. Saint Thérèse of Lisieux, one of only four female Doctors of the Church, so named because of her famous teaching on the ‘way of confidence and love’ set forth in her best-selling memoir, ‘Story of a Soul’. 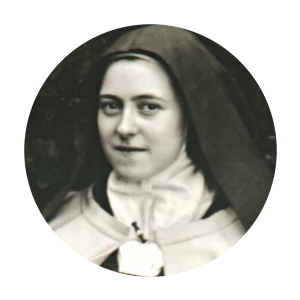 Born in Alencon in France in 1873, whilst still young she entered the Discalced Carmel of Lisieux, where she lived – as Sister Thérèse of the Child Jesus and the Holy Face – in the greatest humility and evangelical simplicity and confidence in God. Read more. 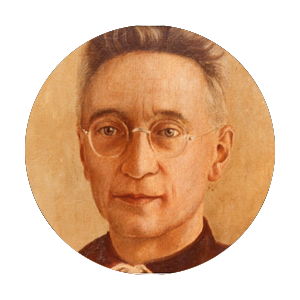 Born at Bolsward (The Netherlands) in 1861, Titus became a Carmelite priest in 1905. He fought against the spread of the Nazi ideology and for the freedom of Catholic education and the Catholic press. He was arrested and brought comfort and peace to his fellow prisoners and did good even to his tormentors. In 1942, after much suffering and many humiliations he was killed at Dachau. He was declared a saint on November 3rd 1985. Read more. 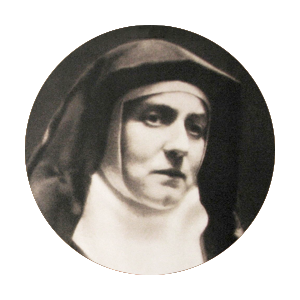 Edith Stein who took the religious name Sr Benedicta of the Cross was born of Jewish parents in 1891, baptised a Catholic in 1922 and entered the Carmel at Cologne in 1933 taking the name of Teresa Benedicta of the Cross. Less than nine years after entering Carmel, Edith Stein, her sister Rosa and hundreds of other “Catholic-Jews” were arrested in Holland on 2nd August 1942. She was killed at Auschwitz on Sunday 9th August and declared a saint in October 1998. Read more. Elizabeth Catez, born July 18, 1880 in France, asked for admission to the Carmel of Dijon at the age of nineteen. She is best known for her teaching “Let yourself be Loved” and “Heaven on earth.” She writes “It seems to me that I have found my Heaven on Earth, since Heaven is God and God is [in] my soul. The day I understood that, everything become clear to me. I would like to whisper this secret to those I love so they too might always cling to God through everything.” (Letter 122) Read more. "Remember that nothing is small in the eyes of God. Do all that you do with love." We promote Carmelite Spirituality through PRAYER and integrating Life, Spiritual Health & Wellbeing. The Carmelite tradition honours the individual, embraces community and welcomes people who seek spirituality and personal enrichment. The Carmelite Centre Mellbourne offers weekly times of shared stillness and silence and regular Saturday retreats. STILLNESS AND SILENCE events give us the reflective space from which we can act. We bring the essence of the Carmelite tradition to others through experience of COMMUNITY in a range of spirituality based programs and experiences. 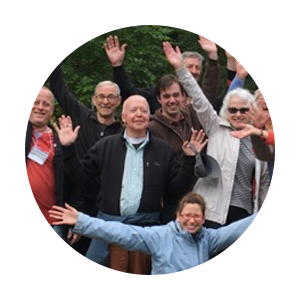 These enhance the continuing development of a growing community of participants, facilitators and presenters. EXPRESS AND EXPLORE events allow us to meet others with whom we can think and talk about the Carmelite Way. Mentoring Carmelite Students: The Carmelites of Australia and East Timor provide support and training for East Timorese students studying for the priesthood in Australia. The Carmelite Centre Melbourne is building a team of mentors to assist students with academic studies or other aspects of their training. Supporting others: Many of our spiritual leaders are supporting others in their search for meaning and purpose. 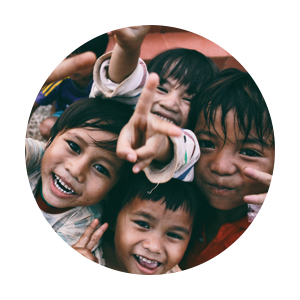 This is done by facilitating retreats, giving talks, having one on one conversations and raising awareness of social issues. EMBRACE AND ACT events allows us to bring contemplation into every aspect of our lives.